Harding and Company looks at what is in store for the remainder of the 2018 IPO Calendar, highlighting the major players looking to list by the end of the year. 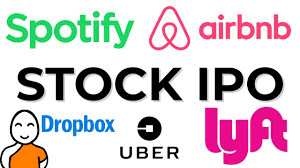 NEW YORK, NEW YORK, UNITED STATES, July 18, 2018 /EINPresswire.com/ — The first half of 2018’s IPO market saw several heavy hitters list. Most notably were Spotify, Dropbox and Xiaomi who were instrumental in seeing a 5% increase over 2017’s figures for the same period despite fewer companies coming to market. Spotify the digital media company listed in New York back in April and has since seen its stock (NYSE: SPOT) gain over 25%. Dropbox (NASDAQ: DBX), the cloud storage arm of Microsoft spiked 50% post listing, however, since that move the stock has settled at just over the $30 range showing gains of 10% to date. Xiaomi, Spotify’s Chinese competitor, listed just a few weeks ago in Hong Kong (HKEX: 1810.HK) and has subsequently seen gains of +30% since its listing. China Tower has plans to raise up to US$10 billion through an IPO in 2018 and has appointed China International Capital Corp Ltd and Goldman Sachs to lead the IPO. The company’s shares will be listed in Hong Kong. Tencent Music – Chinese internet giant Tencent’s music streaming and downloading service – -has twice as many paying customers as Spotify. Tencent has a far better business model than Spotify and their revenue streams will be what sets them apart. Media reports state that the company will list either in New York or in Hong Kong at a valuation of approximately US$10 billion. The accommodations-rental platform has already raised U$4.5 billion from investors, and its current value is estimated at U$30 billion. Since its establishment in 2009, Airbnb has grown rapidly, and it currently operates in 65,000 cities across 191 countries. “The Saudi Aramco IPO is possibly the most highly anticipated listing of the decade, and will be a major feather in the cap of the stock exchange that secures it.” Quoted John Preston. To find out more about up and coming Initial Public Offerings and how you can get involved, contact an advisor today at [email protected] or visit www.handcadvisors.com to see how you can benefit from an independent advisory service that is 100% committed to your financial security, strategy and wealth management.